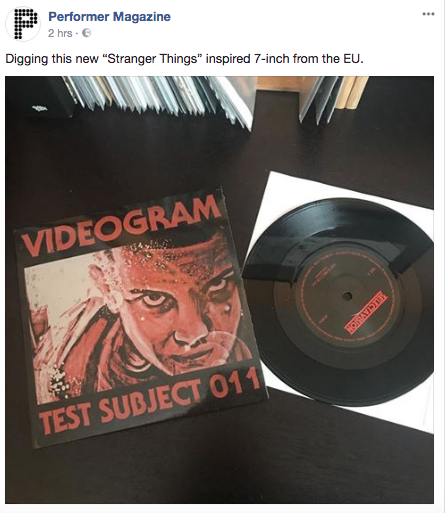 Pretty excited to see U.S. musician's resource Performer Magazine giving Videogram's Test Subject 011 7" a shout-out on both Facebook and Instagram today! Review coming in the next issue. More info here.